Following on from Wednesday's post on the Symposium discussion, here are Mark Cho's specific responses to some of the questions. Mark wrote the below in preparation for the talk (bless him) and he makes some interesting points that never got to be aired on the night. How can an independent store evolve its 'vision' over time, particularly as others begin mimicking its ideas and even carrying the same brands? There are a few things. I try and play to what I think comes naturally to me because of my personality and my abilities. Let's say for instance you like database programming and you also like menswear garments from the 1930s. You will be more likely than anyone else to develop a database about menswear from the 1930s that is any good. It will just come naturally. By respecting your own individuality, you will come up with something that is quite difficult to replicate. As for copying, I think it's a starting point for everyone. Very few people are capable of creating something completely from scratch, myself included. It always takes inspiration from something that came before and hopefully develops it in a new way. Also, mimicking tends to be a fairly early-stage, superficial thing. The sheer boredom of doing what someone else is doing or has done before would hopefully put anyone off doing it for too long. How can stores address what customers, often with little knowledge of the costs of retail, see as a 'fair' price? You start with trying to educate the customer on why something is a certain price. The material is of superior quality; the amount of work that goes into it; the rarity and uniqueness of the garment and so on. The problem is when brands and items become more broadly available and you get tangled in pricing issues. It essentially becomes commodity trading. So, you move in the direction of doing special make-ups, collaborations and other unique products so at least your value-add is clear and the price is easier to understand. Also, there will always be some customers that simply are not interested in what you are offering - service, a certain design angle, a convenient location, etc. If that's the case, so be it. Give them a good experience and maybe they will come back for something in the future. Or maybe they were just never meant to be a customer. Does a long-term plan for a store have to involve growth - new stores, more online sales? I call it pink jacket syndrome. Say I really like the idea of a pink jacket. I think between my three stores, I could sell maybe 20 pink jackets. But if you had sixty stores, you'd have to stock and sell 400 pink jackets and that's a much harder proposition. So with expansion you lose some of your freedom to do things you want, and are perhaps closer in line with your aesthetic vision in the face of financial reality. Also, the larger an organisation gets, the more intensive the management of it is. Finding and hiring competent managers that you can work with is a difficult thing. How do you approach the web, given a shop is expected to have e-commerce, but also competes with others online who don't have your costs? The web is as much about marketing as it is about making money. Browsing products online is a different but also very effective way for an end consumer to engage with a product. We also try to offer as high a level of service as we can for our online customer, picking up the phone to speak to them as much as possible rather than just relying on e-mail. Do you think there has been a parallel drop in the quality and reputation of department stores, as independent stores have grown? No, I think department stores had fallen behind a little bit over the years but they're catching up again. The economics of having to stock products that are financially reliable holds them back a bit but they understand that they need the "new and cool" stuff to survive, too. Of course, a more intimate, cosy independent store experience is something that a department store has a very hard time replicating. 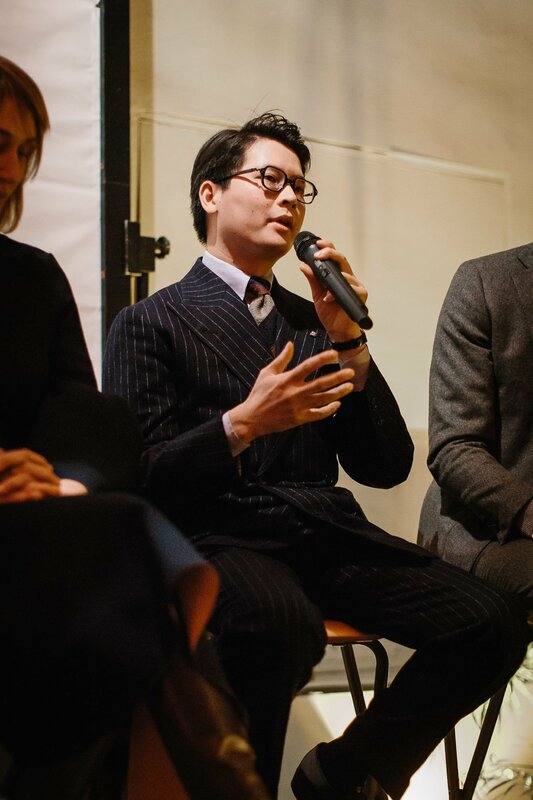 You can follow the discussion on Mark Cho of The Armoury on independent retail by entering your email address in the box below. You will then receive an email every time a new comment is added. These will also contain a link to a page where you can stop the alerts, and remove all of your related data from the site. “By respecting your own individuality, you will come up with something that is quite difficult to replicate.”…………This is terrific advice – not only for the burgeoning retailer – but also the consumer. I love this website for articles like this one. Good man with a good spirit. I like the database / 1930s point that can be applied so widely. On this historic day, as we Yanks go through another transition of power, it is reassuring to see, in this fiercely competitive global economy, that it is about community, not commodity. It is about serving and quality, not fake mass marketing. Hi Simon- I very much enjoyed reading all your posts on shoes, especially your review of the best bespoke shoemakers. I will be in Florence for a week this summer and I wanted to ask, if you could get one pair of bespoke/MTO shoes which shoemaker would you go to and what would you order (I read your post that oxfords is a good start). This will be my first pair and having your opinion would be great. Go to Roberto ugolini- he’s the best in Florence with fair price. Mr. Cho is one of the most astute clothing retailers in the world, and I can’t imagine finding this wonderful discussion anywhere but on “Permanent Style”. Kudos all around. This is a very interesting contribution to the conversation! From what Mark said, it’s safe to be sanguine as to the future of this new generation of shops that is aiming to cater to our sense of style. Hello, my comment here is simply a suggestion to fire the translator of your WeChat articles. I was glad to see you having a WeChat public account running, but the recent updates have really poor quality in translation. The translator was a slacker and did not even try to make the sentences native, so the work is not much better than google translate. Clearly there is nothing wrong with Simon’s WeChat articles, kudos for whoever does the translation. There is little lost in translation and especially those terminologies made perfect sense, I honeslty can’t see where the complaint is come from. It was a pity that when the time came to ask questions nothing came to mind and it was unfortunate that 5 minutes after I had left a great question did come to mind: Who is buying all these products? Who are the people buying at Brio, Anderson, Trunk, The Armoury…? What is the “client profile” of crafted menswear in different parts of the world? I ask this because I was very surprised to find out that tailors don’t sell a lot in their local markets. While in a conversation with a Parisian tailor he told me that not even half of his clients are from Paris or even French. That most of his orders come from his travels to Asia. Then when I visited a tailor in Rome he told me that not even half of his orders were from Italians, that most of his orders came from Paris! This made no sense to me, at that point I was beyond confused. The Roman tailor later explained that apparently tailors in Paris are too expensive for Paris but ok for Asia and that his tailoring is too expensive for Italy but ok for France. I wonder how many orders at Liverano or Orazio Luciano come from Italy then, I’m guessing less than half. So the business model that makes sense is to export tailoring? Good points and a good question. I think you could certainly say that we are going through a period now of adjustment, where internationally people are finding the tailors and price points that suit their style. Over time, more domestic tailors might be set up to cater to those people more locally.